The Maui Pride Weekend is scheduled from Friday to Sunday, Oct. 2 to 4, at various locations on Maui (see “Schedule of Events” below). 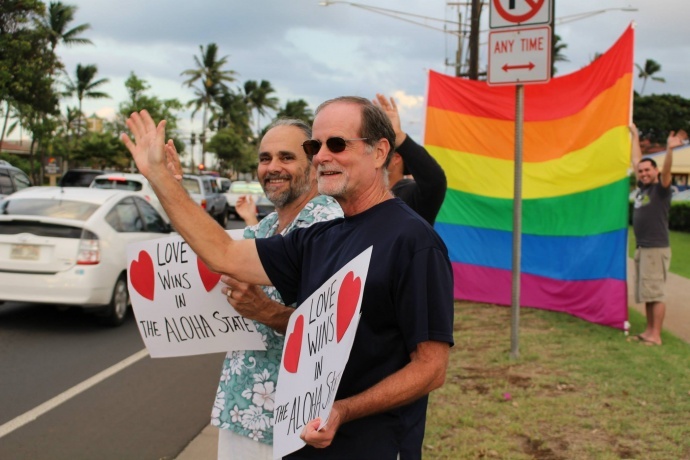 The event will include a film festival, dance parties, a Haleakalā hike, the Love Is Love Community Pride Festival, vendor booths, food trucks, an awards dinner and scholarship presentations. The Maui Pride Weekend is held annually during the first weekend in October to celebrate LGBT heritage and culture. 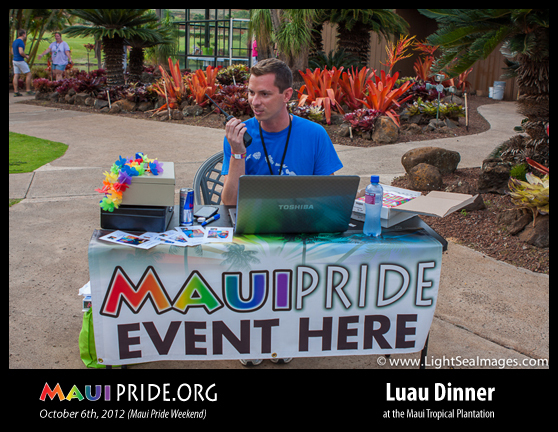 This and other Maui Pride events held throughout the year promote the ongoing integration of the LGBT community with the local Maui community. Through ongoing fundraising efforts and sponsorship support, Maui Pride offers annual scholarship awards to help qualifying individuals pursuing post-secondary educational goals. Scholarship recipients are announced during an annual awards event (below). The Maui Pride Weekend kicks off with a mini-concert by Maui’s own Keali‘i Reichel, which will open the 2nd Annual Maui Pride Film Festival from 6 to 9:30 p.m. at the Maui Sunseeker LGBT Resort in Kīhei. Following dinner and an outdoor screening of Kumu Hina, Hina Wong-Kalu will be present to discuss the award-winning film. After the film, guests will move to the Love Is Love dance party at Kono’s On The Green in Kīhei from 10 p.m. to 1 a.m. Maui DJ Playwfire Ono will be working the dance floor. Maui’s LGBT hiking group will conduct a special trek (8 a.m. until midday) just 2023 feet shy of the top of Haleakalā at Haleamau‘u Trail (The Switchbacks). The Love Is Love Community Pride Festival from 11 a.m. to 3 p.m. will be held on the Great Lawn at the University of Hawai‘i Maui College, with live entertainment featuring Louis & Lewis, Cheryl Rae and special guest Tommy Fernandez. Attendees will have the opportunity to enjoy vendor booths and fare from some of Maui’s best food trucks. The Maui Pride Gala Awards Dinner is from 6 to 9 p.m. at the Kahili Club in Wailuku. Beginning with a meet-and-great cocktail hour with headline entertainer Kristine W and world renowned DJ Roland Belmares, a sumptuous dinner follows with entertainment by Maui’s own beloved WenLu Duffy. 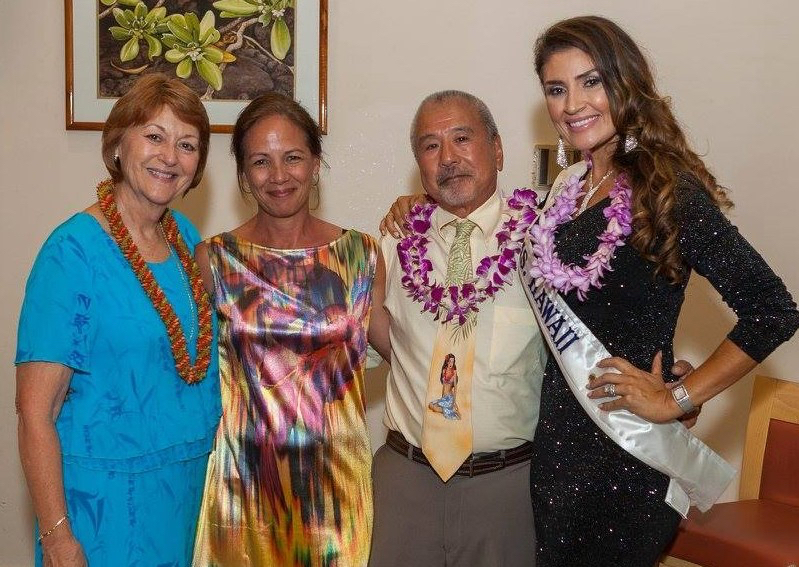 The The 2015 Maui Pride Scholarship recipients and other honorees serving the LGBT community will be presented by Ms. Hawai‘i 2015 Flecha Tovar and Hawai‘i State Sen. Roz Baker. The scholarship award winners will be announced. The Maui Pride Community Honor goes to the Maui Aids Foundation for years of extraordinary service and support for people with HIV and AIDS related diseases. The Maui Aids Foundation has served the community for more than 27 years. Deborah Vial and Caron Barrett will be honored for their many years of supporting Maui Pride and many other community organizations with their financial support, volunteer work and even lending out their home. Following the awards dinner, the Maui Pride Concert and Love Wins Dance Party will be held from 9 p.m. to 1 a.m. at the Kahili Club, featuring the dance music of Diva Kristine W and DJ Roland Belmares. 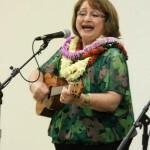 The Maui Pride Breakfast will be held from 10 a.m. to 1 p.m. at Nalu’s South Shore. Nalu’s will donate a portion of the $18 buffet to Maui Pride to help defer some of the Maui Pride Weekend costs. The Love Is Love Beach Party will be held from 1 to 7 p.m. at Secret Beach in Wailea. This non-sponsored event is not just a day at the beach—it’s a special opportunity to mix and mingle and have fun in the sun with locals and visitors. Bring your own beach gear and packed coolers to Secret Beach for this free event that is open to all ages. VIsit mauipride.org for the complete schedule of events and further details.